The fall weather was nice and warm, so as many do, it was time to drive and see the fall colors. There is no better place to go than the southern part of Kettle Moraine State Forest, if you live near Milwaukee. 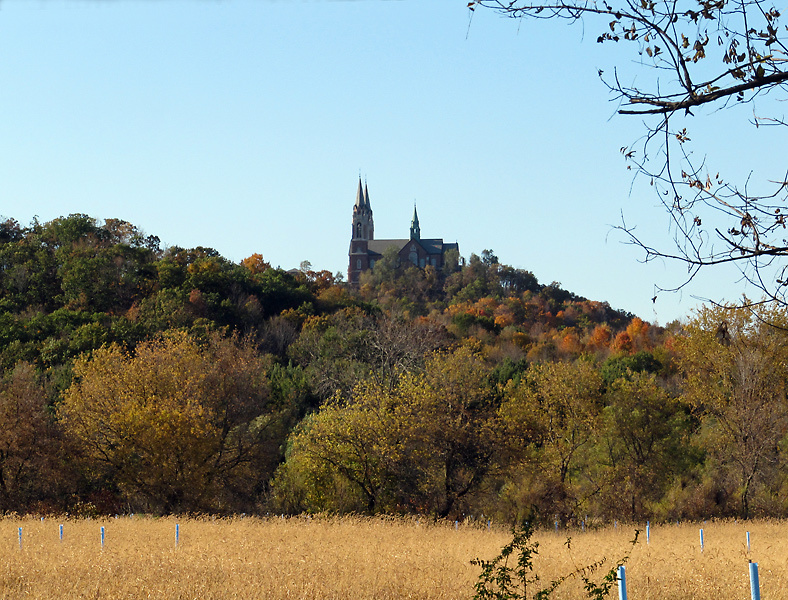 So we drove the Kettle Moraine scenic route and came upon the Holy Hill Basilica view in the distance. This is always a nice experience. Soon we were in the parking lot, and the observation deck at the Basilica. Trying to take photos of Holy Hill Basilica is no easy task, because it is on the highest elevation in the area and is surrounded by trees. Panoramic photos are one solution, but because of the photo deformation they are not easy to take or stitch together. The result is what you see. Hope you like the views and get an inkling of what the Holy Hill Basilica area is like.